Welcome home to your fully remodeled four-bedroom, two-bathroom, split floorplan retreat! 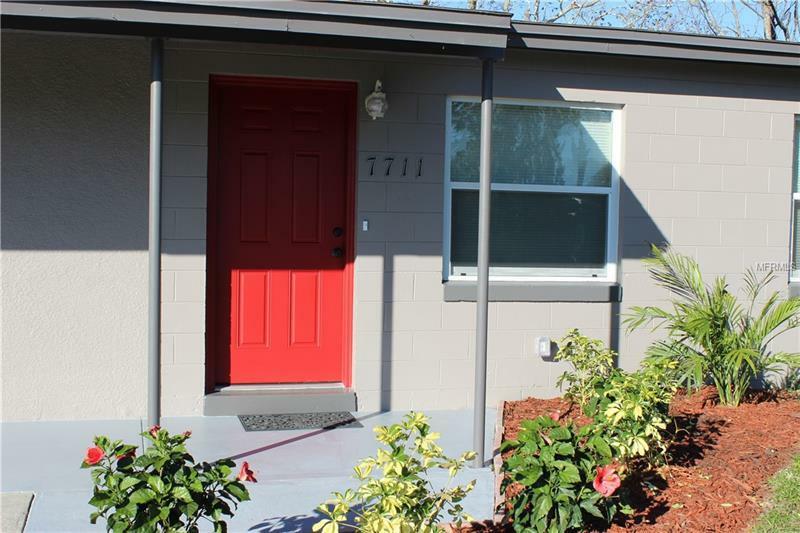 Your new place comes complete with: all kitchen appliances, new windows and doors, new flooring, high-quality fixtures, and fresh paint all around. You will enjoy entertaining in your open living/dining space, with sliding door access to a lovely brick patio. Your spacious, fenced yard offers potential for a large pool, recreation area, vegetable garden- whatever your heart desires. Existing mature trees, including two palms, have been manicured, and vibrant plants and fresh mulch add additional curb appeal to your front yard. From the HVAC to the water heater, plumbing, and electrical- your home has been fully inspected and is move-in ready. Quick access to shops, restaurants, and the bus line make this East Orlando neighborhood an ideal location for any lifestyle. What more could you want? Visit today and say hello to your new residence!